AirPrint is Apple's wireless printing technology, letting you print from any Apple device to a machine that is AirPrint compatible. We've brought together all of the information you'll need about AirPrint so whether you're searching for a printer recommendation or simply wanting to learn the benefits of it, we've got you covered. Last updated: February 2018. This guide contains advice on how to use Apple AirPrint plus the best AirPrint machines available to buy in 2018. AirPrint itself is pretty simple to setup. 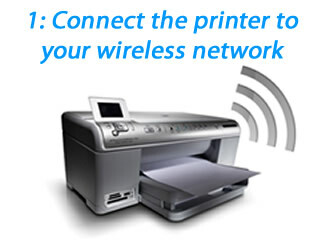 Once you have installed your printer all you need to do is connect it to the same wireless network your Apple devices use. Once done, find the Share/Options box in any app (typically highlighted with an arrow) and you'll find a print option. If everything works as intended your printer will be listed and you're good to go. Check each of those issues and you should find the cause. If somehow you're still unable to print, try printing from your computer. if that works you know it's an issue with your AirPrint installation. if it doesn't, something is wrong with your network or printer and you can take troubleshooting from there. Do I actually need AirPrint? If you'll ever change from Apple branded devices, or can make do with just wireless printing options, you'll be able to choose from far more printers than just the AirPrint compatible models. Am I going to print photos? 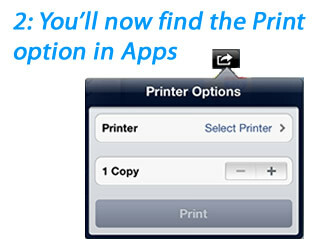 Existing Apple AirPrint printers are focused to either Office's or Home Users. Make sure the one you're buying is suitable for heavy photo and colour printing requirements. Winner of our best overall home printer recommendation, the Canon Pixma TS6050 also has AirPrint support so, naturally, it is also our top recommended AirPrint printer for the home. 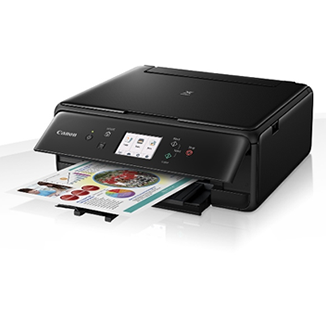 With a great selection of functionality, brilliant print quality and ease of use, it performs strongly in every area and is just a great all round printer. It works out slightly more expensive to run than other home inkjet printers but the performance and quality make it worthwhile and we believe it's worth the few extra pennies.Read more in the full Canon Pixma TS6050 printer review. 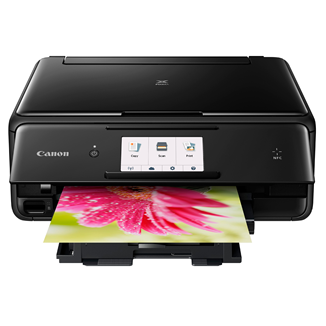 The Canon range has been so impressive that even if you're looking for an AirPrint printer for photos you're looking in the same area, with the Canon Pixma TS8050 or TS9050. 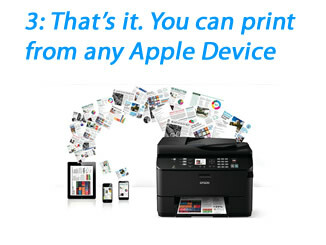 Great printers, all AirPrint compatible and brilliant printers. 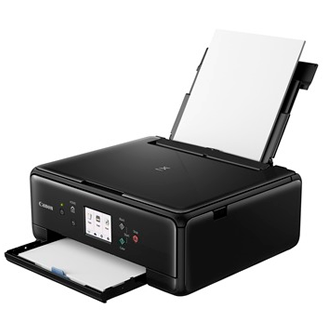 AirPrint; Amazing photo prints; Two black cartridges; Touchscreen. 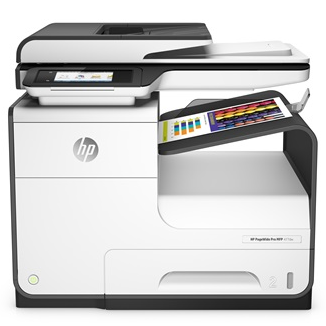 You want one of the best printers available whilst satisfying your need for AirPrint. The HP Pro 477dw is a monstrously good printer and has maintained top spot into 2018 not just for as the Best Office AirPrint winner but also our Best Overall Office 2018 Printer award too! It has everything an office needs and, for any office that needs a printer doing a good few thousand pages a month, is the perfect machine. The major selling point of this machine, like the previous top office printer the X476dw, is its use of HP's Page Width printhead technology. This means there is no printhead whizzing back and forth over the page, with one single pass creating incredibly fast high-quality prints. Read the full HP Pagewide Pro 477dw review. 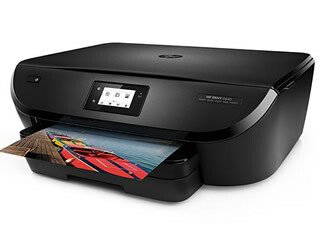 As our Office printer buying guide mentions, if you need a printer designed for higher volumes while still needing AirPrint, take a look at the HP Pagewide Enterprise Colour 556dn review, a printer just as good as the HP 477dw but built for more demanding offices. 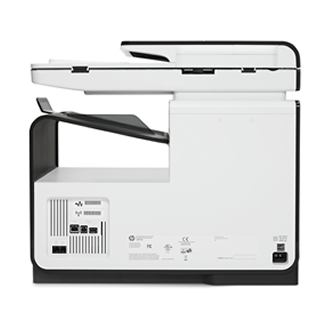 AirPrint; Fast prints; High capacity cartridges; Touchscreen; USB; Ethernet/Wireless. You print over 500 pages a month, need colour and cheap running costs with fantastic, fast print quality. HP continue their dominance of the cheap AirPrint printer category into 2018, with the HP Envy 5540 taking top spot. Giving you ease of use, a decent range of functionality and solid print quality in a budget machine, it's an excellent cheap option. Remember it is a budget printer so is expensive to run, so consider other AirPrint printers if you print more than 50-80 pages a month. 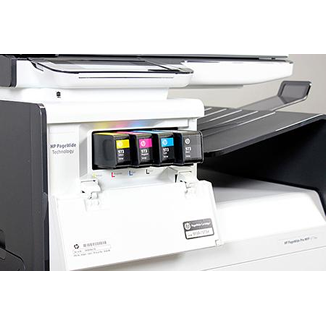 It takes two cartridges, a black and a tri-colour, which give a higher cost-per-page than more expensive printers with individual cartridges. 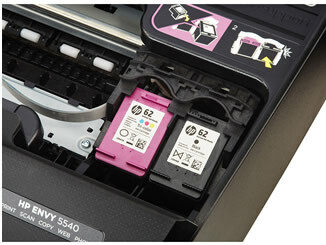 However, with a tremendously low price and great performance, if you print infrequently the HP Envy 5540 will be perfect and the cartridge prices won't be too painful. 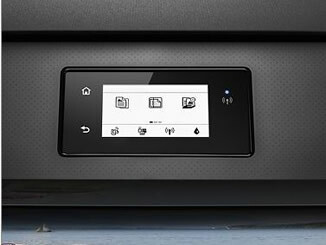 Read more in the HP Envy 5540 printer review. You use your printer every so often and want a cheap to buy machine. If you've got your eye on a specific printer and want to check if it is AirPrint compatible then head over to Apple's website to see a full-and-constantly-updated list of AirPrint printers.